AT&T operates globally in the fields of communications, technology, media, and entertainment. They are the world’s largest telecommunications company and the second largest telecommunications provider in the United States. They are also the largest fixed-line service provider in the US. Formerly known as the Southwestern Bell Telephone Company and later SBC Communications Inc, the AT&T of today was a subsidiary company of the AT&T Corporation. It eventually grew and purchased its parent company, while also taking on its branding. AT&T has over 2,200 company-owned retail stores with additional distribution through retail outlets such as Best Buy, and Walmart. It was named the Most Admired Telecommunications Company in the world by FORTUNE magazine for four consecutive years. The benefits offered by AT&T to its employees include tuition assistance, paid time off, discounts on AT&T products, and an AT&T Retirement Savings plan (ARSP). Furthermore, they also offer medical, dental, and vision insurance options. Employees at AT&T enjoy competitive compensation and benefits. The company offers a generous salary, and they take care of their employees by providing plenty of training and development programs, thereby increasing their skillset. How old do you need to be to qualify for work at AT&T? The minimum age for an applicant to be eligible for work at AT&T is 18 years. They do not accept applicants below that age. The career options at AT&T are divided into 8 separate departments. These are Call Center, Content & Entertainment, Corporate, Government Support, Retail, Sales, and Technology. There are multiple choices for careers under these departments. Summaries of some of the available positions are provided below. Call Center Manager – Credit and Collection: A Call Center Manager for Credit and Collection is responsible for overseeing analysis of accounts receivable, application of collection procedures, and determining overdue accounts. They are also responsible for recommending credit limits, problem collection accounts, and handling special credit arrangements. Furthermore, they also handle call center team and process management. Applicants must have customer facing experience and supervisory experience. Customer Assistant: Customer Assistants at AT&T are responsible for assisting customers with the registration process, email setup, DSL physical line signal testing, and modem/filter set-up. They are also responsible for assisting customers with email, browser, and modem troubleshooting. They also interact with other departments in resolving customer issues and providing additional services. Customer Care Team Manager: Customer Care Team Managers at AT&T are responsible for leading 15 tier 1 agents. They are responsible for monitoring the performance of their members to ensure excellent customer service. Ideally, applicants seeking this job must have experience leading a team in a call center environment and have proven leadership experience. Customer Service Representative: Customer Service Representatives’ responsibilities include handling customer questions, billing inquiries, and complaints with courtesy and professionalism. They must offer alternative solutions with the goal of retaining the customer’s business, making financial decisions to protect revenues and adjusting customer accounts, and handle business transactions in connection with activation of new customer accounts on a computer terminal. Customer Experience Manager – Billing: Customer Experience Managers for Billing are responsible for coming up with new approaches to tracking and analyzing data, which will support the development of billing quality management methodology. They are also tasked to perform data analysis, develop data streams in collaboration with the development team, come up with quality management approaches, and interpret business rules and requirements for technical development. Junior Billing Clerk – Billing Dispute Manager: A Junior Billing Clerk – Billing Dispute Manager is responsible for handling direct calls from the company’s internal and external business customers, and provide excellent customer service. They must also be able to analyze data from various sources, have confidence in the use of internal systems and standard Microsoft Office software package. Billing Specialist for Suppliers: Billing Specialists for Suppliers at AT&T are responsible for managing relationships with suppliers, and internal partners. They are also responsible for dispute resolution and invoice life-cycle. Additional responsibilities include managing billing-related supplier mismatches, and discrepancies with Telecoms suppliers and regular communication, negotiating with vendors via e-mail, Telepresence, conference calls, or occasional face-to-face meetings. Retail Sales Consultant: Retail Sales Consultants at AT&T are responsible for helping customers find what they want, suggest products and solutions, and answer any questions about the products. They must have advanced knowledge of the products, and are responsible for showcasing and marketing the company’s products to prospective customers. Software Development Intern: Software Development Interns work with technology domains such as cybersecurity, visualization, and data analytics. They use a Scrum-based framework in collaborating with peer systems engineers, software engineers, lifecycle tier support personnel, and customers. Applicants must have educational or real-world experience in software development or a related major. To apply for work at AT&T, you can visit their official website to view available positions and review the requirements. Another option is to directly inquire and submit the application at the nearest AT&T site. You can also apply at AT&T’s official website directly by selecting a career option and clicking apply. On the new page, you will be required to register a candidate account on the company’s website. When completing an application form, carefully read the instructions. Make sure you have all needed information ready such as employment history and academic achievements. Your resume must be concise and straight to the point. Strengths and skills should be listed down in bullet form and not in paragraph form. Ensure that skills appropriate for the job are highlighted. Regardless of the company’s policy on dress code, you should wear interview-acceptable clothing. It is recommended to wear conservative suits. You should also listen carefully in order to answer correctly and with confidence when asked a question by the interviewer. The culture at AT&T is that of diversity, innovation, sustainability, learning, and development. As regards innovation and development, they have submitted more than 40,000 ideas to the Innovation Pipeline and have more than 10,000 career courses available. In 2014, AT&T purchased the Mexican carrier Lusacell and the Mexican wireless business of NII Holdings. 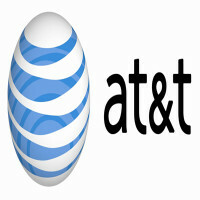 They then merged the two companies, creating AT&T Mexico. They also bought DirecTV in 2015, which is currently undergoing a merger with Time Warner. The company is known for being one of the world’s leading service providers in telecommunications, and one of the United States’ leading service providers of mobile telephone and fixed telephone services. AT&T’s philanthropy priorities include funding of education, community development, health and human services, and arts and culture. AT&T Aspire is their main philanthropic program in education, where they have committed $350M to help students succeed in school. 1 How old do you need to be to qualify for work at AT&T?